Applications are now being accepted for the 2020 Leadership Augusta Adult Class. Each year, Leadership Augusta presents a challenging program that exposes the class to various issues within the city with a goal to groom the community’s next great leaders. Leadership Augusta targets individuals with a sincere commitment, motivation and interest to serve in the community; who have demonstrated commitment by past community activities; who are interested in seeking, or intending to seek public office, boards, commissions, or key volunteer leadership roles; who represent all segments of the community; and who have demonstrated leadership qualities or potential for development of those qualities. Approximately 35-40 participants are chosen from the pool of applicants to create a diverse class with respect to several factors, including: occupation, leadership experience, ethnicity, gender, age, geography, cultural perspective, and time in the community. 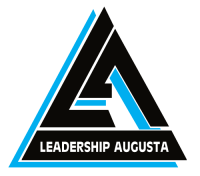 The Leadership Augusta program runs from August through May requiring a significant commitment of time and energy, but its value is immeasurable. To learn more about Leadership Augusta, please visit leadershipaugustaga.com. Leadership Augusta was established in 1980, as an affiliate of the Augusta Metro Chamber of Commerce. Its mission is to inform and inspire existing and emerging leaders of the greater Augusta area to build a stronger community. Further, to enhance the civic participation of emerging leaders within the region. Participants of all ages, professions and educational backgrounds have the opportunity each month to meet, learn and train to be informed leaders in the community.